An Angel at My Table: 14 AugustWhich pitch will win? Our annual An Angel at My Table event is one of the most popular nights on the NZSA calendar. 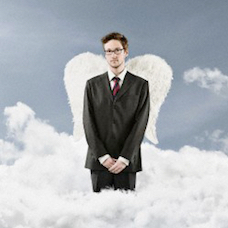 You’re invited to watch four early-stage entrepreneurs pitch to a panel of three ‘angels’. There will be real prize money for the winners, high drama and lots of fun.